We prepared something special for our beloved fans for Valentine's Day. Please welcome our new music video delivered with Love from the deepest pits of Hell! We proudly present you "DIE BY THE BLADE" lyric video, our 2nd single from the upcoming album "From Hell With Love". Anton states: "'Die By The Blade' is one of the Berserk manga related songs on the album and apart from its very straightforward song title, the lyrics deal with a deeper issue than it might seem at first glance. Music-wise it's a definite BEAST IN BLACK style heavy metal ear-worm and Yannis' powerful and emotional all-or-nothing type of performance deserves a special mention!" - Announced February 8, 2019 as the release date of our 2nd album "From Hell With Love"
As long as you are with us, we are stronger and stronger year by year! 2019 will show the bands real strength. All headline tours are always big risks, especially the very first one. Although the ticket pre-sales are surprisingly great so far and some venues are SOLD OUT already, we have to entertain the audience for longer than ever and make them feel hungry for more after the end of the shows. Thats the real challenge now but we are looking forward to it! Thanks for your support Guys, meet soon, have fun! After the huge success of "BLIND AND FROZEN", we are excited to present you our 2nd music video "SWEET TRUE LIES"! We hope you'll love it as much as the previous one! Directed by Ville Lipiäinen and shot in Helsinki, Finland on 25 October 2018. Let us reveal the 2nd Beast In Black album cover artwork! Brand new official band photo has been released today! Can't tell you how excited we are to announce the 1st European headline tour in the band's history! This tour will be the live presentation of the 2nd Beast In Black album! Some more dates will be announced later! After this great summer we proudly announce you Beast In Black has been nominated for this year's Metal Hammer Awards in "Best Debut Album" category! The ceremony takes place on Friday, September 14 in Berlin. Unfortunately it ended (with a great concert in Germany) yesterday, but thanks to all of you who came to see us on any shows! This was our very first real festival season and with 18 shows in total plus your love we felt so strong every night; and it was just perfect! Atte Palokangas signed endorsement deal with Centent cymbals! "So, as some of you might have already noticed that I've changed my cymbals to Centent cymbals. A little bit more than 2 years I was playing with Impression cymbals but when I had a possibility to try out these Centent cymbals, it was love at the first hit! Still, I have only the good things to say about Impression and I was really pleased to work with them for more than two years. But now it's time for new adventures with Centent cymbals. Can't wait tomorrow to have the first live action with these beauties!" Let's start the summer festival season! We will make it hot for you! After the amazing tour with Rhapsody we proudly announce that we will support Nightwish on their European tour during the autumn! Thanks to all of you, you made our first headline shows unforgetable! Hope you enjoyed the shows as much as we did! Atte Palokangas joins Beast In Black family on drums! Check his video from the audition and read Atte's and Sami's (ex-drummer) statement about the change! "Ladies and gentlemen, I regret to inform you that I will no longer be able to fulfill my duty as the drummer of Beast In Black. Due to new circumstances in my life, I'm not able to take part in the upcoming shows nor tours and I feel the band, especially in its early stages, requires a drummer who will be able to give his absolute hundred percent for the band. In addition to that, as some of you may know, I've had some issues with my left hand, making drumming sometimes extremely difficult and painful. It has something to do with the nerve system, resulting in my left hand going all numb and powerless - much like the tennis elbow. This would constantly make it hard for me to rehearse and eventually slow the band down. Let me continue by saying there was and will not be any bad blood between me and the rest of the band. I love all the guys in the band and wish them all the best with their future endeavors. Without further ado, please give a warm welcome for Mr. Atte Palokangas, the new drummer of BIB. He is an absolute BEAST of a drummer and a perfect fit for the band." - Supported Beyond the Black in Germany for 2 weeks; we had nice memories and had a great time together, which made the band's spirit even stronger. - Announced tons of summer festivals for 2018 and a short Japan run. Well, can we expect better for next year? YES, of course!!!! Some great things are not announced yet, but be sure, we will go everywhere we can to unleash the Beast! So thanks for your support Guys, meet soon, have fun! Beast In Black in Japan for the first time! One of our biggest dreams will come true in May 2018 when we're gonna have 3 shows in Japan! Since Christmas is drawing near the idea came up to present you a nice Christmas song for this occasion. Please welcome "ZODD THE IMMORTAL" lyric video! We proudly announce you our very first ever headline shows! Both will happen in Finland on the same weekend. We prepare with special setlist and songs which have never been played. We cant tell how honoured we are for getting the chance to participate in Rhapsodys 20th anniversary Farewell tour! They are the pioneers of the symphonic power metal and influenced a whole generation. Seems to be a great adventure to support them in next spring! We proudly announce you that BEAST IN BLACK will support Beyond The Black and Kobra And The Lotus in Germany for 9 shows in December 2017! We prepared with a brand new lyric video to celebrate this occasion and make it memorable. The tour is over for Beast In Black! We did not get the treatment that we were guaranteed, so we are really sorry but we are not able to continue the W.A.S.P. tour. Our tour starts soon with W.A.S.P. but unfortunately Sami Hänninen is not able join us! Were gonna slay over Europe with Atte Palokangas! We proudly present you our second single "BEAST IN BLACK" in the form of a lyric video! The main picture in this video is by Anato Finnstark at Finnstark Illustration. Roman Ismailov, the graphic artist of "BERSERKER" talks about some details and secrets behind the cover artwork in this video. In this short trailer Anton Kabanen and Kasperi Heikkinen talks about how Beast In Black was formed, what is behind the name and about some actual happenings around the band. Our life-long dream came through when we got the final confirmation for supporting WASP on their anniversary Re-Idolized tour! Meet You on the road! Ladies and gentlemen, we proudly present you our very first music video "BLIND AND FROZEN"! Directed by Ville Lipiäinen and shot in a mystic castle up in the North on 25 March 2017. And let it be mentioned that one of the essential themes on this debut is a Japanese manga and anime "BERSERK" . BEAST IN BLACK - sign with Nuclear Blast + debut album "Berserker" due in November! International heavy metallers Beast In Black are ready to strike with might and main! The band with former Battle Beast guitarist Anton Kabanen will release their debut album titled "Berserker", in November. 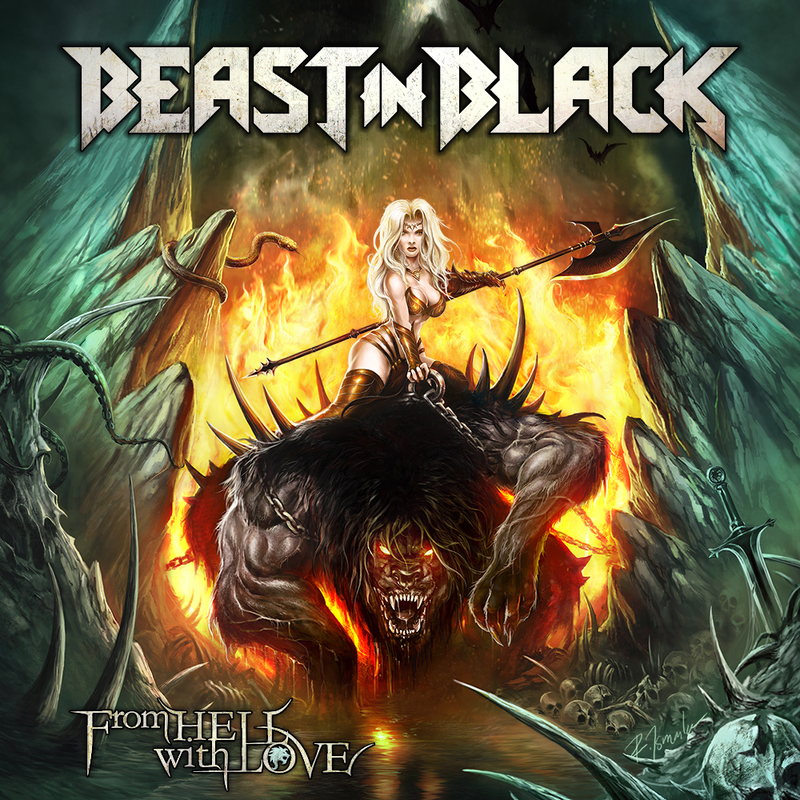 Its cover artwork marks the return of the collaboration between Anton and Roman Ismailov who was the original illustrator and graphic artist for BATTLE BEAST. 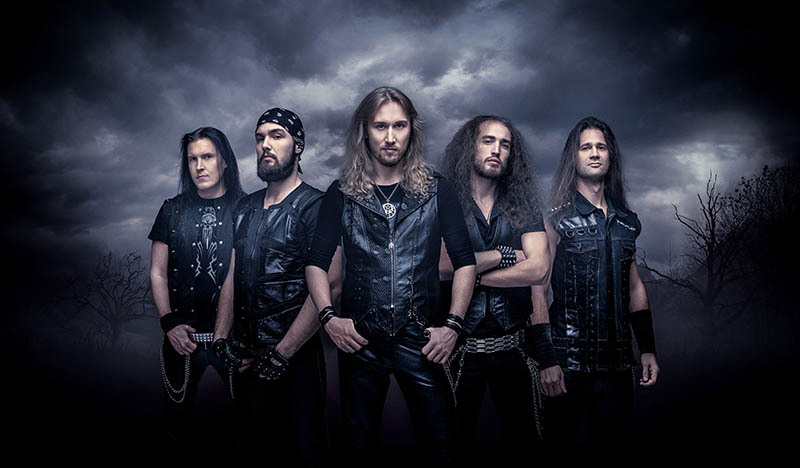 Additionally the band can proudly announce that they have signed a worldwide record deal with the famous heavy metal powerhouse Nuclear Blast. More info on BEAST IN BLACK's debut album coming soon...! Anton Kabanen stated: "Our wildest dreams came true when we made a deal with Nuclear Blast, the biggest and the best heavy metal label in the world! We are thrilled about our debut album release in November and besides the massive anthem-like heavy metal songs we'll promise unforgettable live shows all around the world as we unleash the "Berserker" album!" 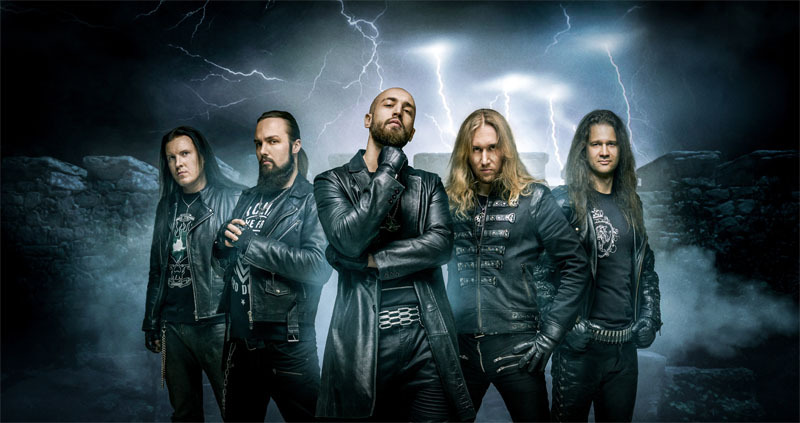 The five-piece, Helsinki based heavy metal band BEAST IN BLACK was founded by Anton Kabanen soon after he had parted ways with BATTLE BEAST in 2015. By the end of 2015 the band played their first gig as opening act for NIGHTWISH. The making of "Berserker" was already in progress back then and it was completed in summer 2017. A deal was signed with Nuclear Blast almost immediately after the completion of the album. 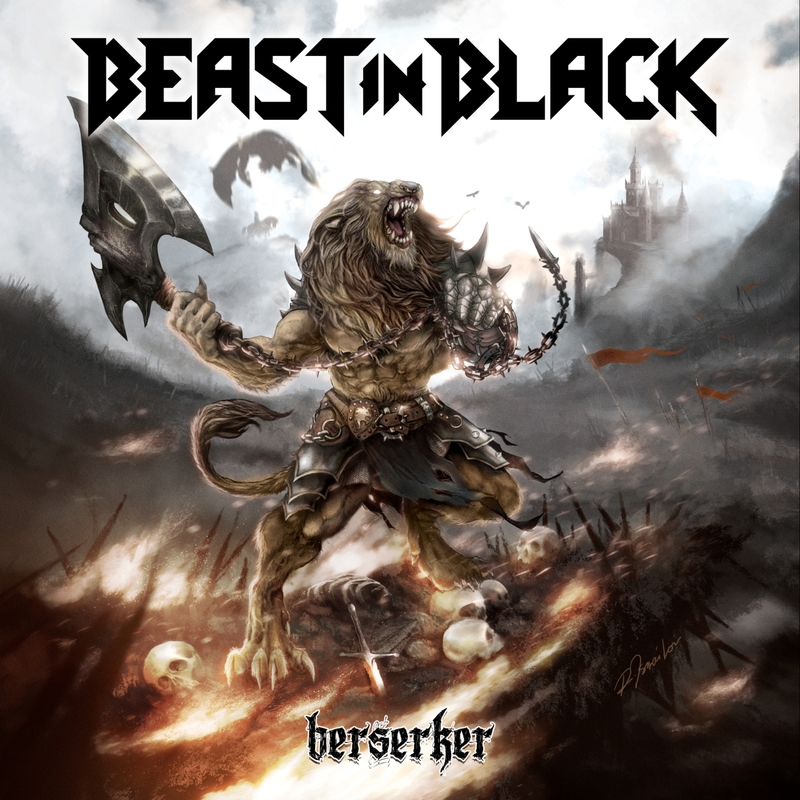 "Berserker" continues in the style of Anton's previously composed works which include the first three BATTLE BEAST albums. One of the essential themes on this debut album is the Japanese manga and anime "Berserk". Our debut album got it's final touches from Mika Jussila in Finnvox studios! Meanwhile we are working hard on our debut album we got an invitation to the biggest finnish metal event Tuska Festival! This is planned to be the one and only Beast In Black show this year, so if you wanna see the band in 2016, be there! We are back in Espoo Arena again to support Sabaton, Stratovarius and Gamma Ray on 19 December 2015! For more informations about the event click here. We are proud to announce the very first Beast In Black show! On 13 November 2015 we are going to warm up the stage for the legendary Nightwish in Espoo Arena! Hoping to see many of You in front of the stage! Join the event's Facebook site. This weekend we gathered in Helsinki to meet each other for the first time, have fun and to do some rehearsals.